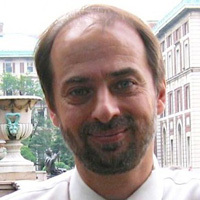 Arvid Lukauskas is the executive director of the Picker Center for Executive Education and the Program in Economic Policy Management at the School of International and Public Affairs, Columbia University. He also directs SIPA’s summer program offered in collaboration with the School of Continuing Education. Lukauskas teaches and conducts research on international and comparative political economy, with a focus on the political economy of finance and trade policy. He has published several books on these topics, in addition to numerous articles in scholarly journals. He is currently working on a book-length project examining the links between economic and social development in East Asia. Through the Picker Center, Lukauskas has helped develop or direct a number of major executive training programs in Brazil, Chile, China, Egypt, Republic of Georgia, Hong Kong, Malaysia, Mexico, Singapore, and Thailand as well as for UNDP and the World Bank. He was the principal investigator for a four-year USAID grant, in conjunction with the East-West Management Institute, to develop educational capacity in the Republic of Georgia. He has served as a consultant to UNDP and the World Bank Institute. Lukauskas received a BA from University of Wisconsin, Madison, an MPA from University of Oklahoma, and his PhD from University of Pennsylvania.